SERPed 3.0 is live and with it come plenty of new features. Today, we’ll closely look at the new Site Explorer, which comes with a new layout of course, but also more data. First, a quick reminder… As explained in our introduction to SERPed 3.0, we switched from 3-page structure (search page, results page and history page) to a 2-page structure (search modal, results page and history page). W hen you open Site Explorer, you don’t see the search page anymore, but the history page. To run a new search, simply click the + button located at the top right of the page. Once you have run your first search using the new search form, you will quickly see a few new things. Moz recently made some major changes to the way they evaluate spam and came up with the Spam Score, which is percentage-based. 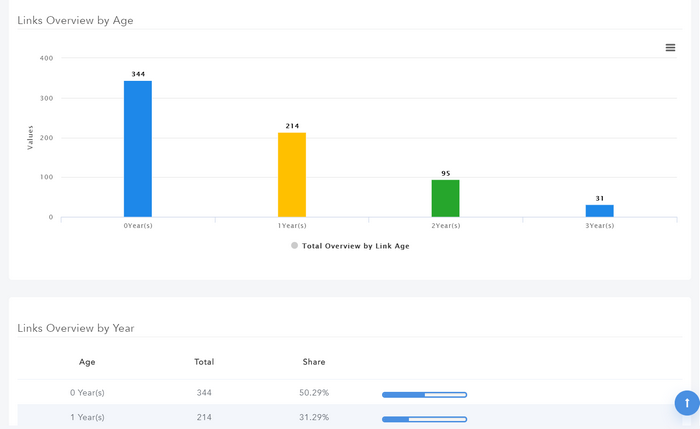 You can see the Spam Score of the site or domain you search for in the Overview section, as well as the Spam Score of backlinks considered as spammy by Moz in the Spam Analysis section. Those links are the kind of links you should either delete (if you can) or disavow via Google’s Search Console. 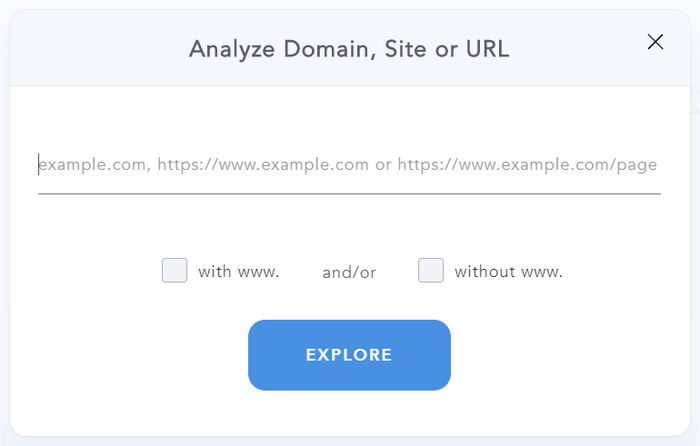 As part of our will to offer you more value, at no extra cost, we included the Majestic Topical Trust Flow in the Overview section of Site Explorer, which means that you can now see what kind of pages link to the site or domain you search for. The View Backlinks section has been updated as well. You can now see the Page Title of each backlink, which is data that was not available in the previous version. As you can see below, the Page Title column is now gone, leaving more room to other columns. We also greatly improved the way tables, graphs and other visuals look, as you can see below. To put in simple words, Link Velocity is a measure of how many new backlinks your website gets over time. Ideally, your backlinks should grow with time. A healthy link velocity graph is an upward curve. 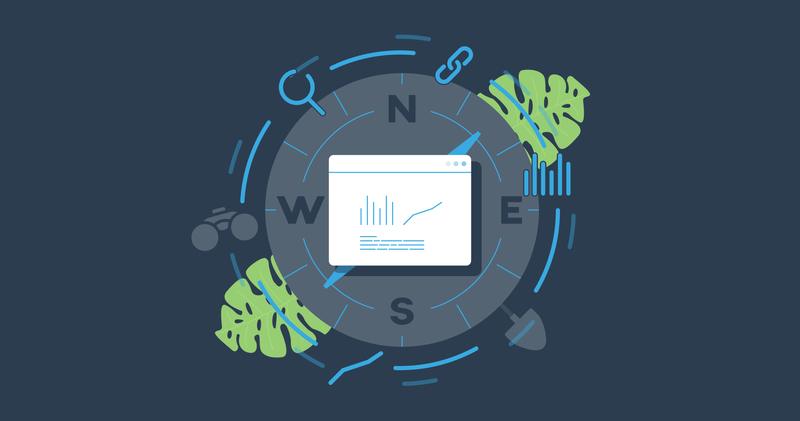 With the Link Velocity section, you can keep an eye on the over time growth of backlinks to your website and take preventive measures if you notice anything fishy. According to Search Engine Journal, link age is a ranking factor. It is considered as a factor of trust. With the Link Age section, you can see the number of backlinks by year and by number of years. The intuitive graphs give a quick insight into your backlinks profile. With the Anchor Language section, you can see the language of anchors used to link back to your site. Thanks to this data, you can find out what the predominant language is on the pages that link back to your website. This is the kind of section you should go to when searching for aged domains for your blog network for example, as it helps you find out what language they were using in the past. Remember you can include Site Explorer data when generating reports with Site Reports, our new report builder, which we’ll talk about in another article. If you have questions or feedback, don’t hesitate to leave a comment below. If you experience issues, please get in touch with our friendly support team. Remember you can also find us on Facebook, Twitter and LinkedIN.